Useful for softening or rounding over exposed edges on solid surface materials up to 1" thick. 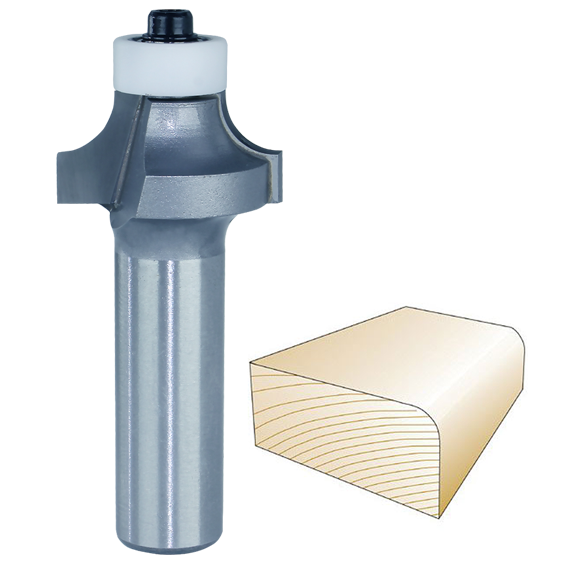 Has a nylon sleeved non-marring bearing (#RB3S) to prevent damage to materials. Carbide tipped. Double flute. Whiteside Machine Company - Claremont, North Carolina.